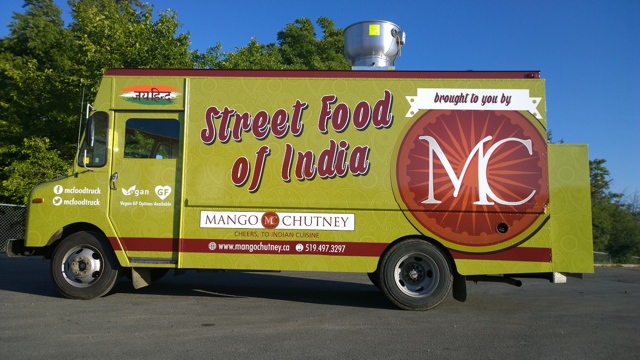 MC food truck is Chef Taruneet’s effort to bring most popular street food from different cities of India. Indian street food is a perfect way to sample India’s vast cuisine. Yes, the cuisine is so vast that we will keep on changing the menu to give you as much dishes as we can. Sorry, we don't know when Mango Chutney will be open next. We last saw them on May 6, 2016 at Hamilton: Argyle Ave & Ottawa St. Check back soon — as soon as they post their schedule it will show up on this page. Do you own Mango Chutney? Sign in to post your schedule.